This statement explains the privacy and the data protection practices which apply to www.wilman-lodge.co.uk as provided by Wilman & Lodge. 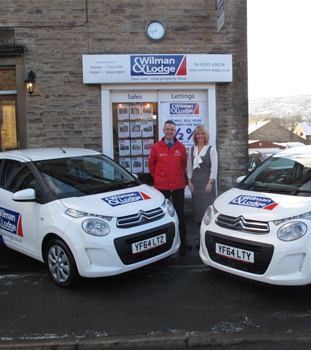 Due to the new data protection regulations which came into effect in May 2018, Wilman & Lodge have taken obligatory steps to ensure that all our data handling procedures has been updated. At Wilman & Lodge we are committed to protecting your privacy, we follow strict security procedures to ensure that your personal information is not damaged, destroyed, or disclosed to a third party without your permission, and to prevent unauthorized access. The computers that store the information are kept in a secure facility with restricted physical access, and we use secure firewalls and other measures to restrict electronic access. Any personal information such as name, postal address, telephone number, and email address given via this website will only be used to provide a requested service and will not be disclosed to any other third party. Any personal information submitted via our website must be treated in accordance with the Data Protection Act 1998. To find out more about your entitlements under this legislation, visit the Information Commissioner's web site at www.gov.uk/data-protection, or read the Act online at http://www.legislation.gov.uk/ukpga/1998/29/contents.